The invoice price & true dealer cost are not the same. The true dealer cost of a Jeep Compass is lower. Note: The Jeep Compass pricing report below does not include rebates or incentives. 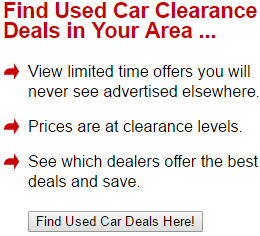 View Jeep Rebates and Incentives. Jeep Compass Prices - How Much is a Jeep Compass? The 2019 Jeep Compass is the perfect blend of usability and capability, with trims that focus on the brand's off-road rated Trailhawk and its other more commute-oriented personality. Whatever your needs are, this family-capable SUV can give you just as many off-road adventures as it can friendly family drives. What you want the Compass to be, Jeep has made it possible. It's a compact family SUV that can go off-road (specifically the Trailhawk, a still family-capable SUV that can take you into the furthest regions of the off-road experience). The 2019 Jeep Compass is more tech-savvy, with a standard 7" color touchscreen that updates the previous model's reputation for ignoring such tech. This year, they're all in with interior comforts as well, accenting connectivity and more family-oriented passenger space to maximize the comforts of the Compass. Interior materials will be more premium than in years past with more options to toggle your look. The 2019 Jeep Compass comes in many impressive trims - Sport, Latitude, Upland, Altitude, Limited, Trailhawk, and High Altitude - for an incredible amount of versatility and styles that will match every taste. The base model Sport offers a 2.4-liter I-4, good for 180 horsepower, and you'll find that configuration throughout all of the trims, but you'll also find much more. The Latitude's all-weather ready features are appealing to those in colder climates. Heated front seats anyone? It's a huge line-up of Compass originals that will make driving one of these compact SUVs a superior experience to nearly everything else on the road. UConnect 4 is the other big news of the day on some trims - including the Trailhawk - as you get an 8.4" touchscreen for a superior command of your navigation and entertainment features. All-in-all, you'll find that the Jeep Compass offers a unique driving experience you won't find on other compact SUVs. After all, this is a Jeep. Adventure is the name of the game here. The driving experience of the Compass is a standout feature. Thanks to 4X4 systems designed especially for some trims, you're going to get an all-weather system that gives you the tools of the off-roading experience right off the bat. Take control of the weather with windshield de-icers and rain-sensing windshield wipers, as your Compass is going to do most of the work for you in your weather conditions. Your environment doesn't stand a chance against the Compass either, as it comes in many different driving modes that let you select your terrain and them take command over them. It's as simple as shifting a knob. Jeep Brand 4X4 systems are a hallmark of the Compass, so there's no driving situation that you won't be able to conquer, and of course, as a Jeep vehicle, you're getting an SUV that is automatically designed to conquer the elements of both the road and things off the road. The Trailhawk continues to be Trail-Rated, a crowning achievement for a compact SUV. Some trims come in leather-trim and other fancier interior materials, so you're going to be able to enjoy the drive in style, and with so many exterior colors to choose from, you're not just going to love driving the 2019 Jeep Compass. You're going to look extremely distinguished while doing so. Whether you want to conquer the morning commute or take your Compass to the furthest reaches of the off-road experience, you're going to find a trim to suit you. Jeep truly thought of everything here, and they also made sure to bring the Compass up to date with more modern safety features like Blind Spot Monitoring and Adaptive Cruise Control with Stop and Go features (a huge asset on any busy morning commute where your 2019 Jeep Compass is going to be braking and accelerating at a quick pace). It's just an all-around great year for the Compass, and many folks are going to appreciate the superior drive and thoughtfulness that Jeep put into the 2019 Jeep Compass. 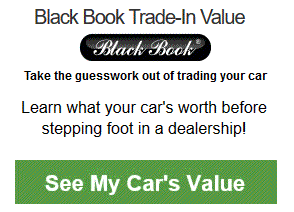 Example: Base Jeep Compass invoice price + the dealer Invoice price of all the options + destination - Holdback = Total Dealer Cost. 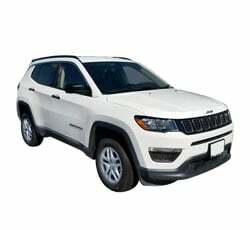 Note: All Jeep Compass MSRP, invoice and dealer cost dollar figures above are approximate amounts. Prices are subject to change without notice.